AWESOME!!! The Titans are coming back?!! This is spectacular!!! Awesome find, from what I read of the article there, it seems as if this series is pretty much going to mirror the first series, with the exception of more teenage comedy...I wonder how comedic its suppose to be?? ?I am hoping it has a action/comedy balance like the first one. Also if this series is going to mirror so closely to the first one why not just show re-runs of the first series and then eventually new eps?????? 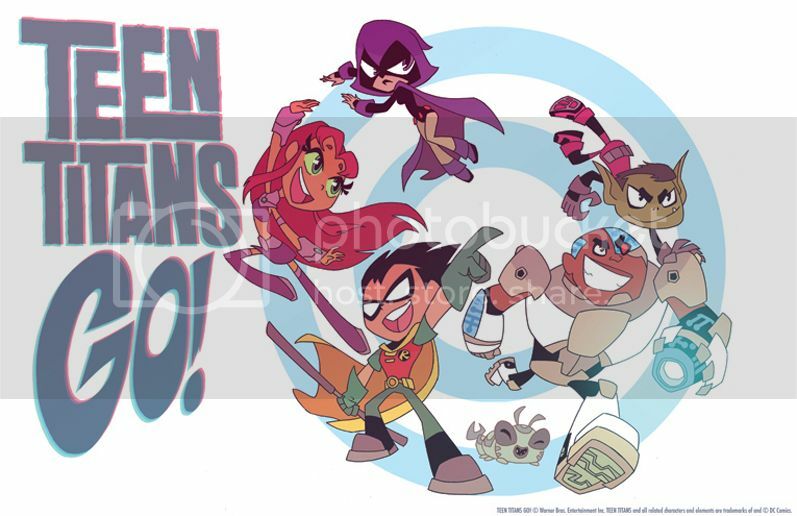 It has been pretty cool to see the "new teen titans" shorts airing on DCnetwork. I eagerly await the return of my favorite team of teenaged superheroes... er, maybe I should say 2nd favorite team of teenaged superheroes. Even if the show will probably be more comedic than the previous show (and probably not nearly as good), getting more adventures with the original voice cast is never a bad thing. Last edited by oldmanwinters; 06-08-2012 at 10:12 AM. I'm liking the new designs. The Titans are looking cool. I loved TT, it's basically what got me back into cartoons. How are the TT shorts? From the 3 I watched they were enjoyable. The PR isn't too clear on what the new show is going to be, any new TT is great but I hope it's not based exclusively on the shorts that would be a bummer. If that picture above is their character designs it looks awful. What made TT great was the mix between comedy and action and interesting plots. The shorts work because they're very short but a whole half hour of only comedy and little to no action and no story arcs would be a disgrace for the previous show. Rats, looks like it'll be uber-childish. 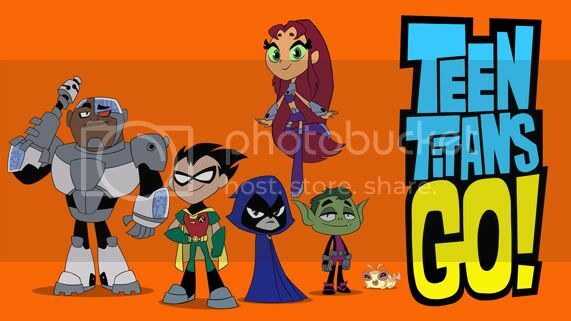 A shame, I was looking forward to maybe something a little like the TTG! tie-in comic DC put out years ago, which had, for the most part, comedic plots, but also had an adveturous tone. I'll probably watch it just because I'm badly, BADLY, craving more BB/Raven "relationship writing fumbles"
Rats, looks like it'll be uber-childish. I have a question did Terra ever comeback after defeating Slade?? Those character designs remind me of Atomic Betty. Yes, in the very last episode. Without explanation. She'd pretty much settled down and become a normal schoolgirl. She told Beast Boy to get over her and go be a hero. The TTG! Comic continued where the series left off, and introduced Terra's brother, but when he found her he concluded she was happy enough and didnt try to persuade her to come back with him. 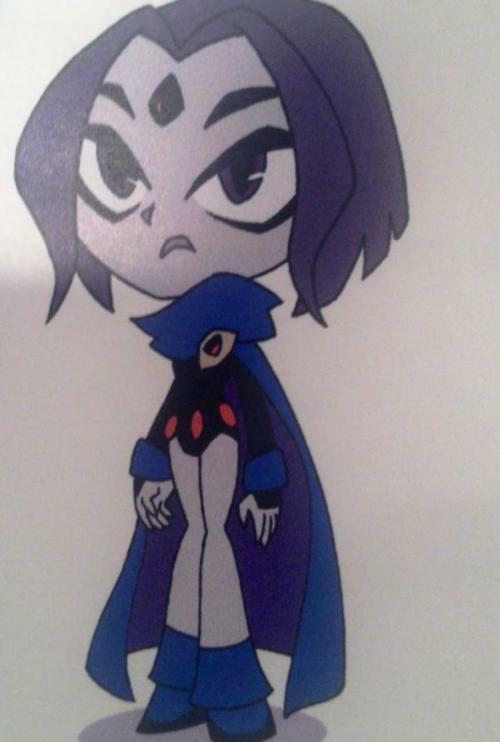 BB and Raven never got together in the TTG! comic sadly (Despite a lot of shipteasing), although they were breifly a canon couple in the official DC continuity. Now the question is... Is Teen Titans GO replacing Young Justice or will we have both shows??? I doubt Young Justice is being permanently replaced; I think one of the articles mentioned the YJ and Green Lantern shows were "in between seasons." While that's true of GL, YJ may go on a temporary hiatus if CN decides to delay new episodes for a while like they did with Season 1. Dc must be out of ideas. I'm excited to see the Titans come back, though I'm not a fan of those designs. 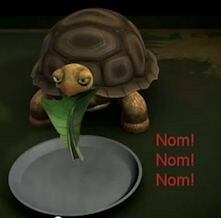 Last edited by TurtleTitan97; 06-28-2012 at 06:44 PM. I guess Greg Cipes was right about expecting the Teen Titans to come back. Its not really the same show, despite the VA's and the usage of the same characters. It probably won't even be in continuity with the old show, just its own seperate thing of wacky adventures.